Simply put, no business can afford to ignore ecommerce. With more than 4 billion internet users worldwide & mobile internet means buying things online has never been easier for the consumers. Selling your products or services via internet is the way to go. As a business with an eCommerce website, you can create a distinctive brand for your business, showcase your products and grow your business online. If you’re still thinking whether you should start an ecommerce website or not, please read on why you must build it. An eCommerce website will help you to reach out to the customers around the world. Your products and services can be offered to people all around the world with an ecommerce website. There are international courier options readily available these days for shipping your products, payment processing and management has also become easier than ever before. An ecommerce business offers a wide spectrum of audience and an opportunity for you to increase your sales without much additional efforts. With an ecommerce website, you create a business that works round the clock for you, across time zones and locations. You dont have holidays on internet. So effectively you can leverage all days of the week for your online store. The ability to sell your products without restrictions of physical stores can boost your sales. You can also augment your local sales by an ecommerce store. A study by GE Capital revealed that 81 percent of consumers perform online research before making a purchase. More and more customers are looking at online before they make a purchase. When you build an ecommerce portal, you give yourself a good chance to appear in front of the users. Good search engine optimisation, social media marketing will help your website rank higher and will attract more users for your products. 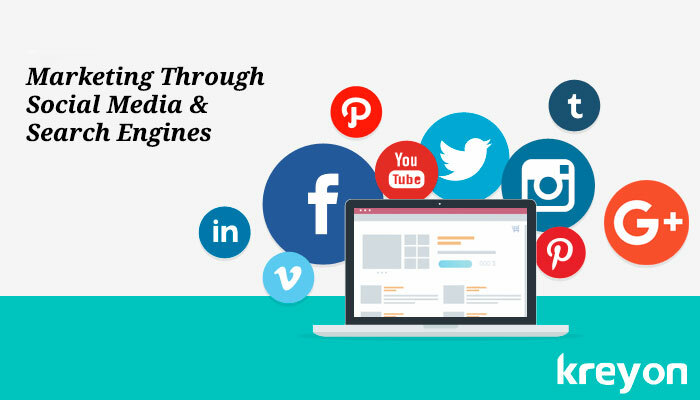 Prominent ecommerce websites also maintain social media channels on FB, Twitter, Instagram etc to engage with their users. These are helpful in branding your company, its products and bringing more traffic to your ecommerce portal. An ecommerce platform makes operations easier to manage than a physical store. With an ecommerce portal, you have the convenience of adding new categories & products as per your needs. Tracking the quantity of the inventory, shipping information and overall administration can be enhanced with an ecommerce portal. A good back-end platform will help you manage the operations with ease. There are wide range of technology tools that can help you with your ecommerce business set-up. Once the online store is set-up, you can run your business from the ecommerce portal. You can track all important customers, inventory, get automated notifications for reordering items and delivery etc. You can plan your online store with a selected category of products and building things gradually until you can administer things completely from the online store. Your online business can shape your customer experience positively. The ecommerce store offers frictionless way to order products, ask questions, and interact with your business. An online business can cater to the customers at the time of their choice. Today customers are looking for 24X7 support, technology can help in assisting the customers. 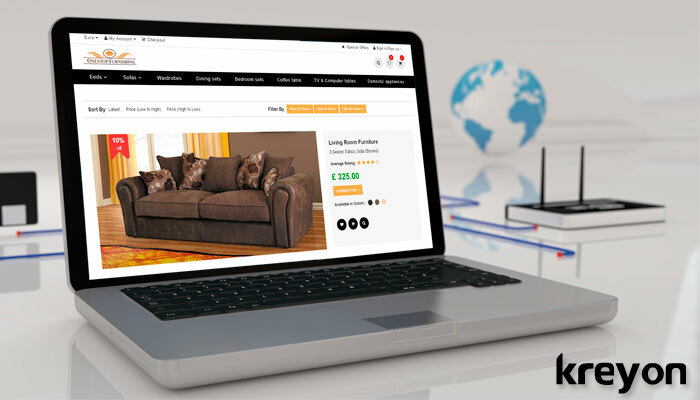 With an online store, you can build customer loyalty scores & offer them personalised discounts etc. You can serve your customers, attend to their queries and delight them with advanced service tools in your ecommerce portal. One size doesn’t fit all. Personalisation is the way forward, especially on the web. You can track all your customers using ecommerce website. You can maintain their orders, preferences, locations, delivery confirmations, complaints, queries, demographics and other information. With all the customer information and automated algorithms, you can create product recommendations and suggestions for your customers. The browsing history, location and all other customer information makes it easier for brands to pitch the right product recommendations for their customers. An ecommerce website helps you build great customer loyalty by personalised services and taking care of their preferences. 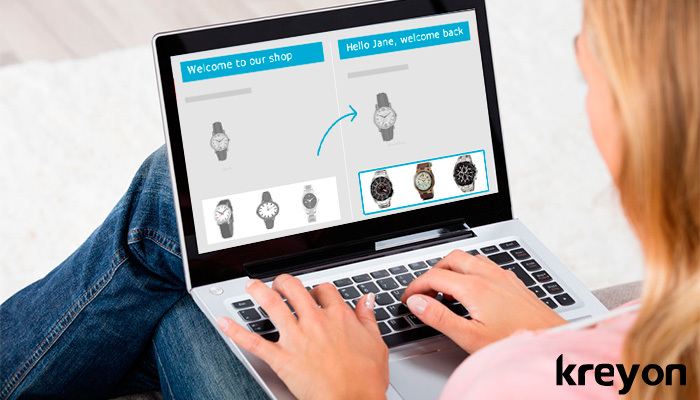 Customer loyalty increases with personalisation. How do you stand out from the crowd? Well, a lot of the top ecommerce portals use amazing and creative designs. It helps them brand their products better. An eye catching website with creativity, innovation and great designs can do wonders for your branding. Designs can influence your customers purchase decisions. How you present your products and services, the images, the graphics, the best selling products, recommendations etc. go a long way in increasing sales for your business. A good ecommerce site will not only bring more revenue for your business, but will also create a stronger brand. 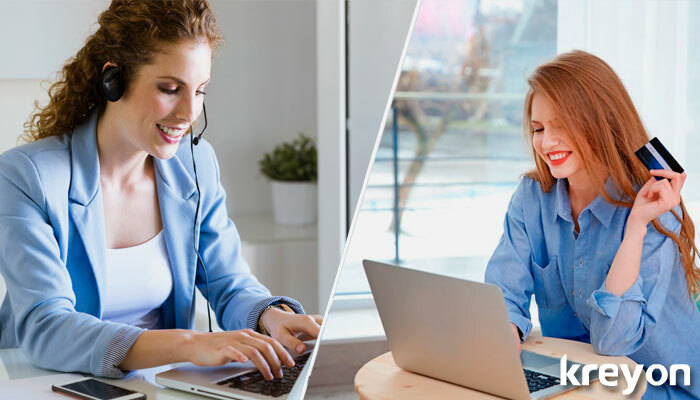 Whether you run a car rental company or sell retail products, the customers are looking for convenience and frictionless ways to get things done. Ecommerce website offers great convenience for customers to shop things they like, at the time of their choice & get it delivered to their doorstep. Technology is the facilitator in offering great customer experience. Businesses are looking at making the customer journey smooth. An ecommerce website saves time, provides easy checkout, product delivery, offers a wide range of variety and comparisons for the customers. Not to mention, saving you from the crowded stores. An ecommerce website fares much better when it comes to conversions and revenue. You can have a great website, but if it doesn’t sell your products and services, it will not boost your revenue. 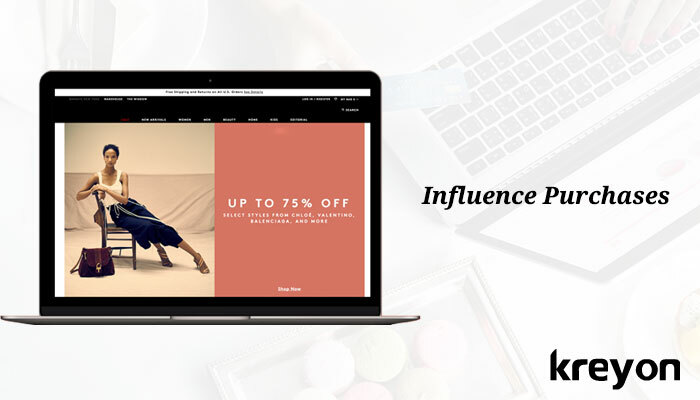 Having an ecommerce website helps you to improve your conversion rate. People are looking at instant options to buy things as and when they can. An ecommerce website that works well on mobile devices helps them achieve that. No one waits to visit the physical store, if they have a better online alternative available. 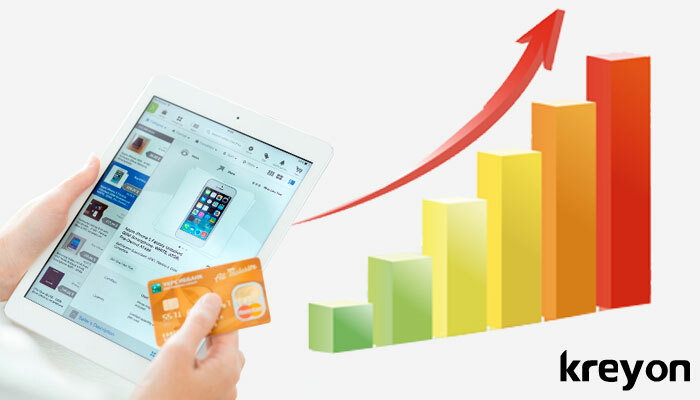 The global ecommerce market is ripe, it is growing rapidly and offering unfathomable scale to businesses of all types. Traditional businesses involve lot of operational cost for running the brick and mortar stores. Many of these costs are cut down and eliminated by an ecommerce store. The digital world offers huge scale & unparalleled market size for businesses. An ecommerce store creates an organised business that can be scaled up on customer demand. This is where ecommerce businesses are surging ahead of their traditional competitors. You don’t need to create multiple physical stores. Infact, the growth is entirely customer driven. Hence even with a smaller physical base, you can server a larger pool of customers in an ecommerce business. With the advancement of technology, you don’t need a big technology team for running your ecommerce business. All operations can be managed using standard or customized ecommerce portals. The ecommerce portal will require fewer staff, reduce capital expenses, inventory costs and operational expenditure for the company. It helps to scale efficiently making optimum use of resources and increasing profitability. The growth of ecommerce around the world is a great opportunity for businesses to tap into the online world. While it takes a little bit of effort to set-up things in the first place, the rewards can be disproportionate. This is an opportune moment for businesses to foray into ecommerce and build global companies. 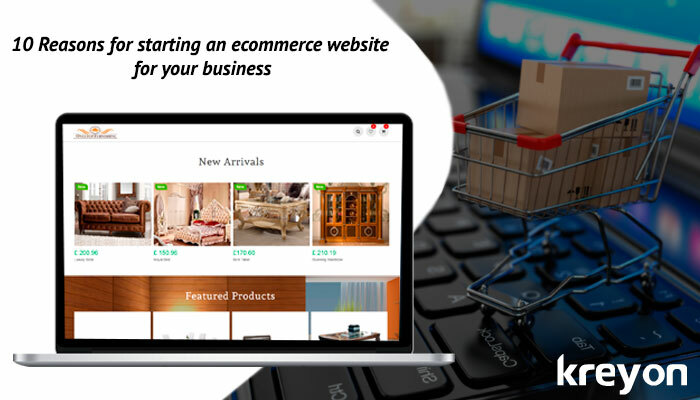 Kreyon Systems is helping companies to launch their ecommerce websites and automating their business operations. If you have any queries for us, please reach out.